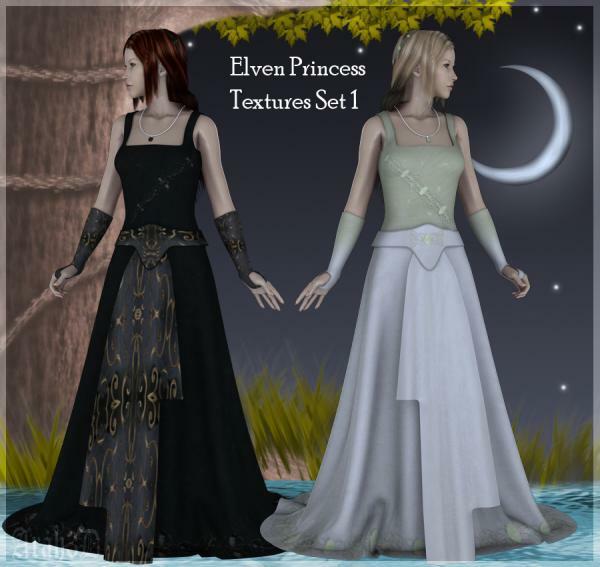 This package includes 6 Textures for the Elven Princess outfit. Thank you so Carol Sassy from Renderosity, for the use of her fabulous Thingies! Thank you fror the costume, textures, and props. Very, very nice! Oh I want to mention I used your outfit in a flash animation on the front page of my web site.